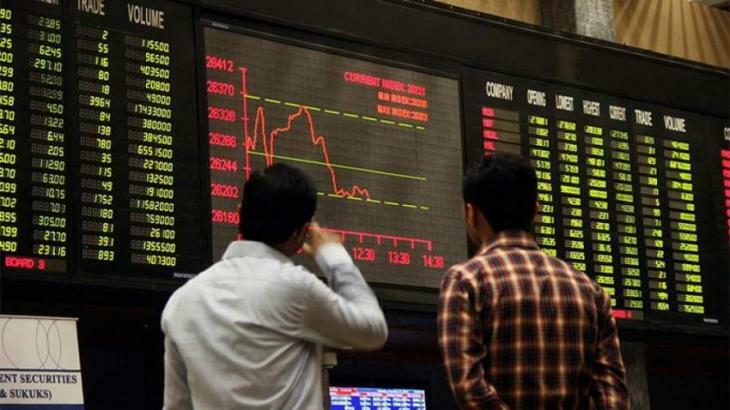 ISLAMABAD, (UrduPoint / Pakistan Point News - 17th Apr, 2019 ) :The pakistan stock exchange (psx) on Wednesday witnessed bearish trend as KSE 100 index plunged by 629.38points (-1.68 percent) to close at 36,752.57 points. In overall 52,477 trades, a total of 172,862,800 shares were traded, whereas the value of shares traded during the day stood at Rs 4.913 billion. Out of 357 companies, share prices of 68 companies recorded increase while 274 companies registered decrease whereas 15 companies remained stable in today's trading. 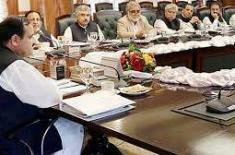 The three top traded companies were Bank of Punjab XD with a volume of 51,481,000 and price per share of Rs 12. 54, Unity Foods(R) with a volume of 23,348,000 and price per share of Rs .95 and Maple Leaf with a volume of 6,787,000 and price per share of Rs 30.99. The top advancer was Otsuka Pak with the increase of Rs 4.86 per share, closing at Rs 146.98 while Clover Pakistan was runner up with the increase of Rs 4.28 per share, closing at Rs 140.66. The top decliners were Unilever FoodsXD with the decrease of Rs 299 per share, closing at Rs 6500 and Nestle Pakistan with the decrease of Rs 296.50 per share closing at Rs 7602.50.